Magpie Moth: Isaac Asimov hacks the future! Isaac Asimov hacks the future! There's an interesting tension in science-fiction between the individual as the agent of change and as its object. At one end of the spectrum, self-actualization fantasies like Dune. At the other, Everyman at the mercy of technological change or social revolution. Most genre-work, concerned with telling a rollicking good story, sits somewhere between these poles. Isaac Asimov's Foundation is reckless enough to try to occupy both at the same time. And that's what I love it for. From the forties, Foundation is a set of linked short stories about the titular research institute on Terminus, a distant colony of a declining Galactic Empire, surrounded by enemies, trying to keep the light of civilisation burning on the edge of space. Yet Terminus is also the pet project of a long-dead psycho-historian (part sociologist, part mathematician, in case you were wondering) determined to prevent a millennial descent into barbarism across known space as the empire collapses. Each crisis the planet experiences over the centuries is solved by following the path he predicted through the prevailing political, social and economic trends. By anticipating future history, his ultimate aim is for its people to found a new galactic order. It's nothing short of an attempt to hack the future on an interstellar scale. A long con to end all long cons. And it's small wonder that all Foundation's protagonists - mayors, traders and spies - are all trickster archetypes, outwitting kings, bureaucrats and priests through innate charm, superior technology and the knowledge that Asimov's brand of dialectical materialism is on their side. Each story is a well formed puzzle - how will the plucky Foundation defeat the superior firepower of their neighbours, trade gadgets for precious raw materials, or get themselves of the hook of religious obscurantism? 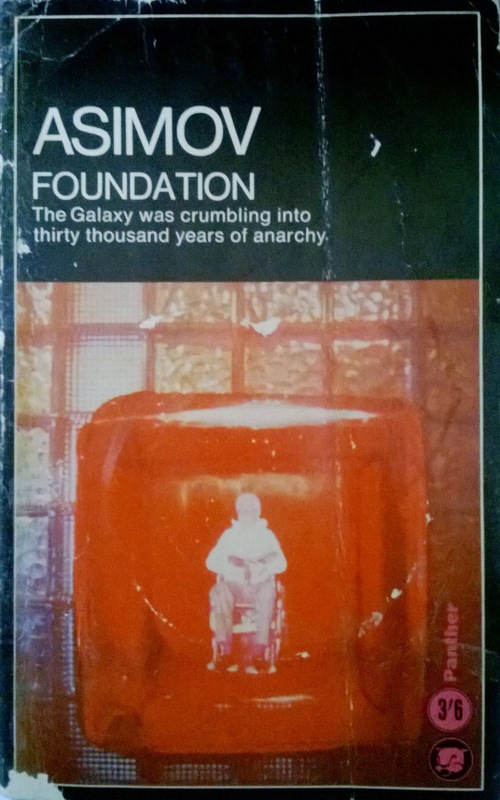 Asimov's occasionally maligned writing style here is at least several notches above serviceable - helped greatly by the format, the low page count and the gravitas granted by the premise. Admittedly, it does take him until the final story to introduce a named woman character with dialogue (and even then she turns out to be a shrewish wife), and it's no surprise then that the novel has something of a boy's club feel to it. But I'll forgive a lot for vision and chutzpah, and Foundation has it by the bag-full.